Flexible floor plan offering 4 bedrooms with an office or 5 bedrooms featuring a "Mother in Law" / Guest Suite downstairs and 2 1/2 baths. 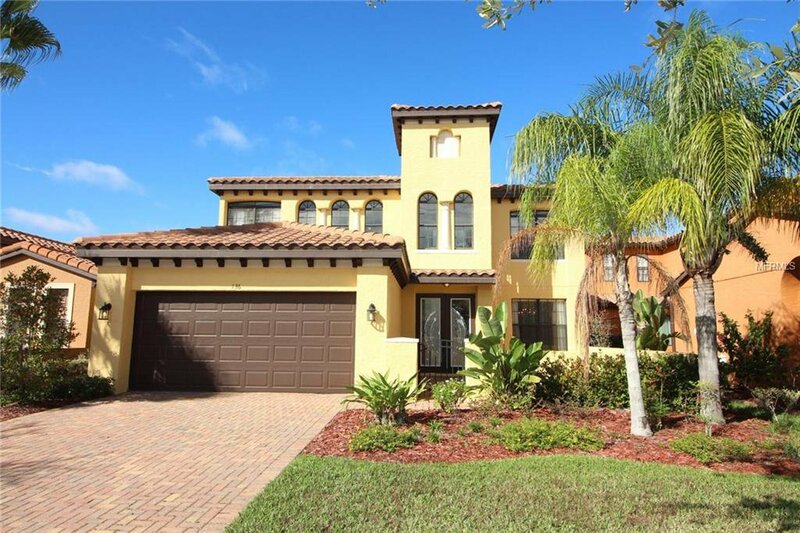 Located in Riviera Bella, a Gated, Executive Community with access to the St. John's River and tons of amenities including Clubhouse, Fitness Center, Resort Style Pool, Theater Room, Sport Court and Playground. This home's Courtyard will greet you and leads to Double Door Entranceway. Upon entering you will be drawn to the open foyer, high ceilings and elegant stairway. It has a large open kitchen / family room combo which is the perfect entertaining area including access to the 40 ' covered rear patio and the privacy of the fenced yard created by the rear "greenbelt". Oversized master retreat upstairs has master bath featuring dual sinks, a garden tub and separate shower. Also located on the second floor are 3 additional bedrooms, laundry room and loft sitting area. Lessen commuting stress with convenient access to the Sunrail. A Must See! Available for Quick Close!